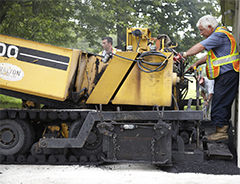 Walton Interlock & paving is a full-service asphalt paving and construction business specializing in asphalt paving and concrete. 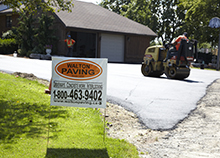 Since 1973 Walton Interlock & Paving has completing many projects for residential and commercial. We are your #1 Choice. Walton Interlock & Paving understands the pride you take in the overall feel of your home. We offer driveway paving, extensions, walkway and patio pavement services that will personalize and extend your home curb appeal. Whether you need a new driveway, driveway extension or outdoor patio, Walton Interlock & Paving can help. 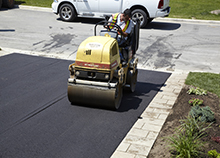 As a full service construction company, we specialize in paving for commercial and residential services. With 40 years experience, Walton has built it's reputation on quality workmanship and satisfied customers. Select a contractor who delivers quality workmanship first time, trust the experts Walton Interlock & Paving. 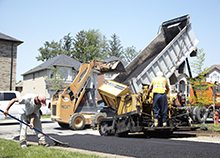 Our asphalt paving and interlock crew work in Hamilton Area including Oakville, Mississauga, Burlington and Milton. 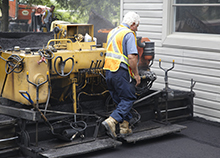 With over 40 years experience in asphalt paving, Walton is a company you can trust to get the job done right the first time. Walton Interlock & Paving Ltd. has been in business since 1973, having OVER 40 years experience in the construction and paving industry. From residential driveway paving to commercial paving, we have built our trusted name on our customer service and quality workmanship. We have serviced many well known companies such as Canadian Tire, McDonalds Restaurants, OPP Stations, and Petro Canada and Shell Stations. Such services include heavy/light duty paving, interlocking, concrete work (consisting of curbs and sidewalks), catch basins, and excavation. We also render repairs (such as crack fillings patch work), line marking and speed bumps, along with minimal landscaping services. We take pride in our work and excel to the best of our ability to satisfy our clients to the fullest capacity. Contact us for a free estimate. About Walton Interlock & Paving Ltd.